CAPE CANAVERAL — Loaded with investigations into chemotherapy drugs with reduced side effects and radiation detectors for homeland security, a plant-growing chamber to promote future food harvesting in space and a technology demonstration for sample-return capsules, a commercial Cygnus cargo vessel will be sent to the International Space Station next week. Built in the U.S. and Italy and operated by Orbital ATK of Dulles, Virginia, the eight-ton ship will be heaved into orbit by a United Launch Alliance Atlas 5 rocket. Liftoff from Cape Canaveral is planned for Tuesday at 11:11 a.m. EDT (1511 GMT). at NASA’s Johnson Space Center. This test could yield better drug designs for cancer patients to deliver targeted chemotherapy directly to cancerous cells and avoid healthy cells to reduce side effects. “When cancer cells are in a petri dish, they lay flat and you have a 2-D structure of cancer. That’s not how cancer grows in the body and solid tumors are 3-dimensional…In this study in the microgravity environment, the cancer cells will form spheric balls where they will more accurate represent solid tumors. From there, we will be able to understand how these drugs metabolize different, how they more or less advantageous, and hopefully that will give us more insight how we plan to treat solid tumors with this novel-class of drugs,” said Principal Investigator Sourav Sinha from Oncolinx LLC of Boston. 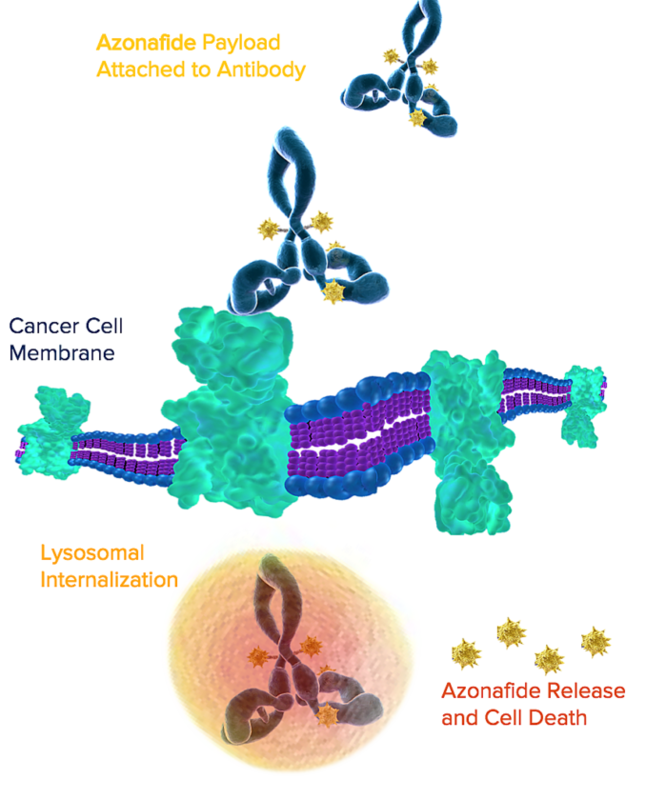 Antibody-drug conjugates (ADCs) are therapeutics that target tumors through receptors on the surface of cancer cells. By testing the drugs in space, they will be applied to cells that grow more life-like than can be created on Earth. The 3-D structure of tumors cultured in microgravity result in accelerated drug testing and bringing new therapeutics to the market quicker. “There is a significant amount of crew time involved in this because we have a number of different variables that we are testing — dosages of the drug, controls of the drug and time points,” Sinha said. The cells are launched frozen, then thawed once in orbit to begin the research. 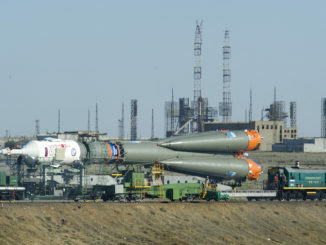 It will be performed in the Expedite the Processing of Experiments to the Space Station (EXPRESS) rack. 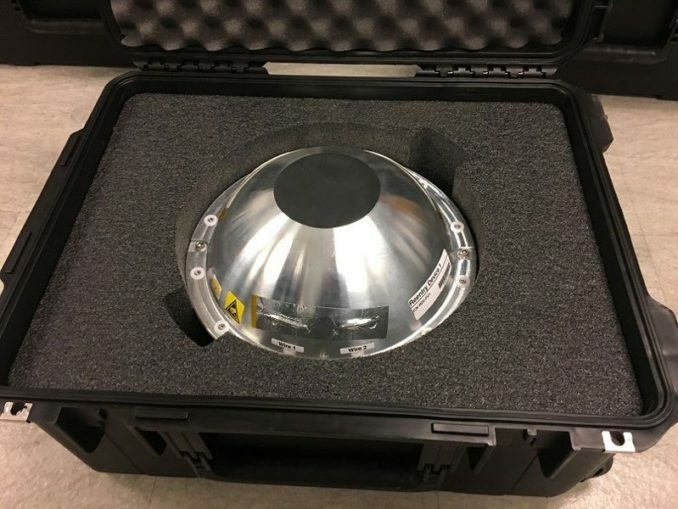 This experiment aims to grow a new type of scintillator crystal for use in portable radiation detectors employed by Homeland Security. Scintillators excite when exposed to certain types of radiation. Four experiment runs are planned inside the Solidification Using a Baffle in Sealed Ampoules (SUBSA) furnace of the Microgravity Science Glovebox. “The main advantage of microgravity for crystal growth, in general, is the absence of buoyancy-driven convection. On Earth, hot fluids rise up and cold fluids sink down due to density differences. In microgravity, this doesn’t happen, and it affects how fluid in our molten material transports, how molecules and atoms of material assemble into the crystal. 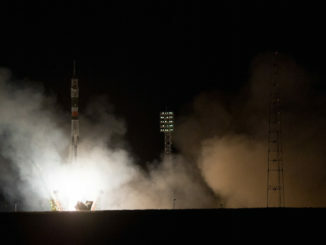 It’s significantly different in microgravity than on Earth,” said Alexei Churilov, Ph.D., the experiment’s principal investigator from Radiation Monitoring Devices, Inc. of Watertown, Massachusetts. The space research will inform ways for the company scale-up its production of the crystals on Earth. If successful, small and inexpensive instruments could be made to detect both gamma rays and neutrons. 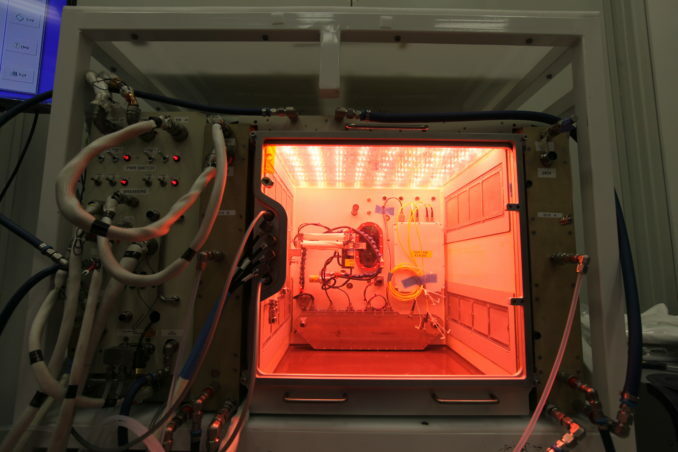 A stepping-stone to food production in deep space is the Advanced Plant Habitat launching on OA-7 to take up residence aboard the International Space Station. About the size of a mini-refrigerator, it features 180 sensors to carefully measure light, water and the atmosphere in the plant-growing chamber. “It’s really the culmination of four-to-five years of developmental effort that will result in the largest and most sophisticated apparatus for growing plants on the International Space Station,” said Howard Levine, project scientist at NASA’s Kennedy Space Center. A science carrier, roughly the size of a large pizza box, will be launched on this Cygnus with seeds of wheat and Arabidopsis, a small flowering plant. A seed wetting and germination is planned to demonstrate the performance of the hardware before peer-reviewed plant bioscience launches in November. “One of the main advantages of the hardware is it has precise controls of all different kinds of environmental parameters, so you can do controlled experiments with plants under different temperature, relative humidity and CO2 concentration values,” Levine said. There are 38 cubesats being launched aboard this Cygnus, 34 that will be transferred over to the space station for eventual deployments from the Japanese Kibo module’s airlock and four that are mounted externally to the cargo ship. After Cygnus departs the station in July, it will climb to a higher altitude, around 310 miles, and eject them into space. 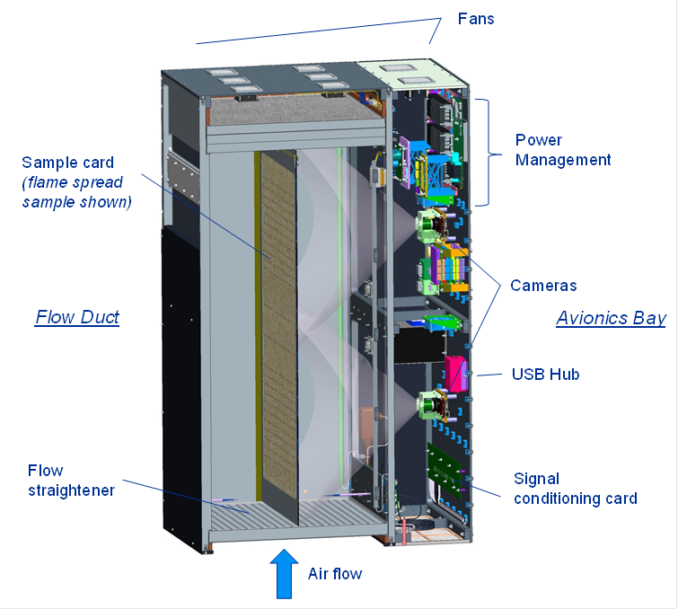 A vast majority of station-deployed cubesats are part of the QB50 project to study the science of the atmosphere. A constellation of 28 cubesats will be launched as part of a European Union research program involving universities on five continents. The craft will probe the gas molecules and electrical properties in the poorly-studied region of the upper fringes of the atmosphere called the thermosphere. “Small satellites are well poised to research the lower thermosphere because you need small sensors and many in-situ measurements at multi points along the way. 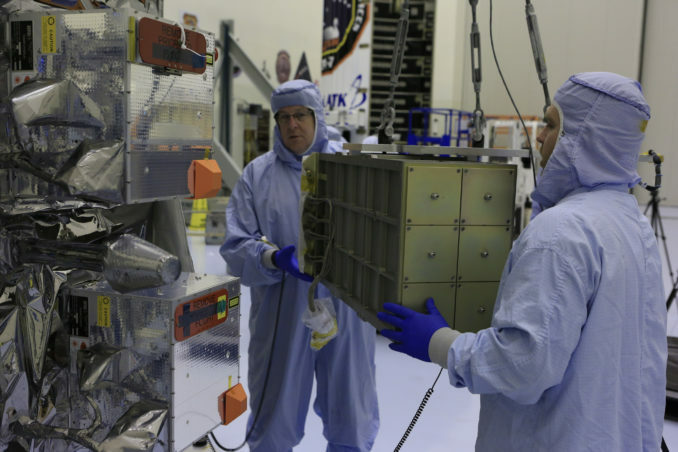 So cubesats, which started about 15 years ago, are perfect for this project,” said Henry Martin, external payloads coordinator from NanoRacks in Houston. The six other cubesats going to the station include four from NASA, one from the Defense Department and one commercial. They include a mission to measure the cosmic X-ray background, one to test a new light-weight, longer-life battery system designed for the cold temperatures of space and another to measure ice particles within clouds. The four riding in the Cygnus external deployer are LEMUR-2 cubesats for meteorology and ship tracking. After departing from space station, Cygnus will host the third spacecraft fire safety experiment, called SAFFIRE, to study the behavior of flames and combustion in microgravity for future capsule designers. Cygnus conducted SAFFIRE burns on its two flights last year. This test will use one large piece of material to burn, but apply lessons from the earlier experiment runs. “They’ve adjusted the airflow rate and ignition sequence based on the results seen on the last two,” said Vavrin. SAFFIRE is a large, self-contained experiment stowed in the back of the Cygnus module. The blaze is ground-commanded. Sensors will record the ambient temperature and the oxygen and carbon dioxide concentrations, two video cameras provide top views of the entire sample, thermocouples are woven into the sample and a radiometer measures the heat given off. The flame propagates over a panel of thin material approximately 0.4 m wide by 0.94 m long (15.7 x 37 inches) to quantify flame development over a large sample in low-gravity. Cygnus will remain in orbit for several days until all of the data and video recorded during the experiment are downlinked to the ground. A company wanting to develop a family of re-entry vehicles to return scientific research samples to Earth from the space station will get a demonstration test at the end of the Cygnus flight when it brakes from orbit. “For this experiment, we are flying three different probes and we have three new heat shield materials that NASA is wanting to get flight-test data for,” said John Dec, principle investigator of the RED-Data 2 experiment at Terminal Velocity Aerospace in Atlanta. The three materials being put to the test: A new form of Avcoat that will be used on Orion human spacecraft, the others, developed by the NASA Ames Research Center, are the lightweight Conformal Phenolic Impregnated Carbon Ablator (C-PICA) and Conformal Silicone Impregnated Refractory Ceramic Ablator (C-SIRCA). Kept inside the Cygnus throughout its mission, the three soccer ball-sized RED-Data-2 probes will be dispersed once the freighter breaks up during atmospheric re-entry at the conclusion of its three-month mission. Each probe will record vehicle location, temperature, acceleration, pressure and gyroscopic data seen during the fiery plunge back to Earth. “When Cygnus does its de-orbit burn, it will start to re-enter the atmosphere and that’s when we begin to collect our data. We use the accelerations to determine whether or not we’re actually starting to re-enter. When Cygnus breaks up, our vehicles are then released into the free-stream flow and that’s really when our experiment begins,” Dec said. The probes use a 45-degree sphere-cone geometry that is designed to always right itself and orient nose-first within a couple of seconds. “This shape is very easily scaled up in size. So what we foresee in the future is to have a sample-return capability. 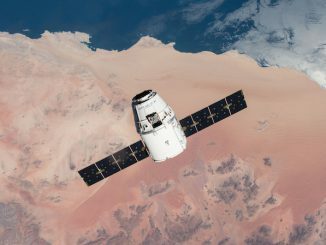 It would be an on-demand type of down-mass capability for the space station…That’s really where our future direction is going is to develop a vehicle big enough to bring samples back,” said Dec.